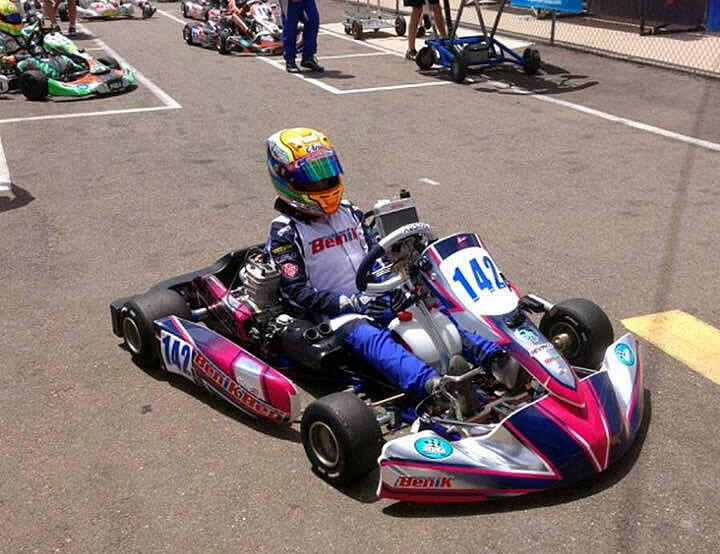 Jonny accepted a late invitation to compete in the Superkart USA Spring Nationals and came away with an inspired victory that has cemented his reputation on both sides of the Atlantic. He should have been racing in a Formula Kart Stars round at Glan ‘Y Gors near Corwen last weekend. However, this event was cancelled at very short notice. When the Florida based Benik team heard this news, they immediately sent out a request for Jonny to join them in Arizona. 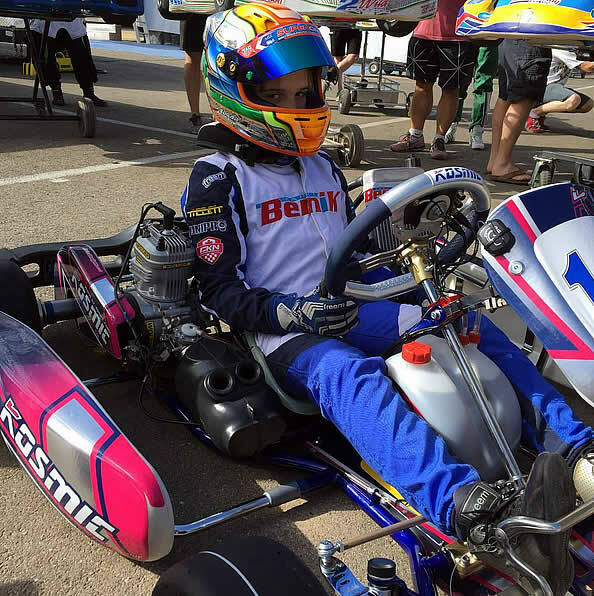 This race meeting took place at the Phoenix Kart circuit in Glendale, Arizona and was held over four days. Jonny was invited to compete having won last year’s Super National Championships for cadets. On this occasion, though, he was racing in the Junior X30 class for older competitors. Friday’s three practice sessions didn’t go particularly well for him as he was placed 16th, 18th and 14th respectively. After the carburettor settings were altered overnight, though, he was much quicker and claimed 2nd place in Saturday’s Timed Qualifying session behind Jagger Jones. This was followed by 2nd and 3rd place finishes in his two Heats. Saturday’s final didn’t quite go as planned. Halfway through this race he was involved in a shunt that dropped him out of the top ten. He recovered very well from this mishap and was easily the quickest driver out there. Unfortunately, though, this race was stopped five laps from the end whilst Jonny was lying 6th. 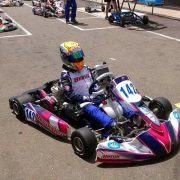 He won both of Sunday’s Heats to qualify on pole position for the Final. Despite leading for several laps, he was eventually overtaken by Dante Yu and Jagger Jones. The front three were soon joined by Lance Fenderson and Oliver Calvo. After an intense battle Jonny finally settled for 3rd position behind Yu and Jones.